According to the compilation of available data from national authorities and IOM offices, a total of 87,776 migrants and refugees arrived in Europe between January and August 2018. Estimated 79 per cent of the overall population crossed the Mediterranean Sea (69,614), mainly using the Western Mediterranean route which leads to Spain where 33,912 new arrivals were registered between January and August 2018. 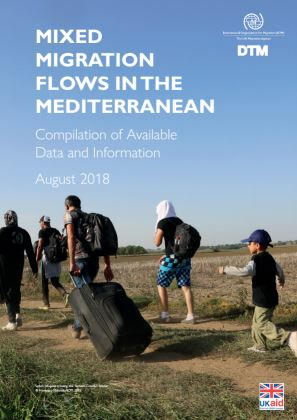 According to DTM flow monitoring data, there were 7,022 arrivals registered in Spain during this reporting period alone (1 – 31 August), more than double the 2,529 reported by the Spanish authorities during the same period last year. Among the total registered migrants to Spain for 2018, 86 per cent (29,337) arrived by sea and the remaining 14 per cent arrived by land, mainly to the Spanish enclaves of Ceuta and Melilla.